For years, the marijuana industry has been involved in a kind of arms race toward creating super-potent cannabis products. 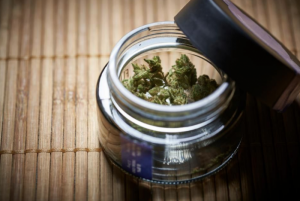 Looking to provide veteran consumers enhanced highs and more bang for the buck, manufacturers over the past few years have gone full throttle to produce cannabis offerings with greater levels of THC (the psychoactive component in weed that gets users high). But that trend looks to be ebbing, in some respects, as an increasing amount of marijuana retailers across North America position themselves toward lower-dose creations that speak to an expanding mainstream audience. Many consumers — some of whom are new to legal weed or are less-frequent users — want to sample the brave new world of pot products without the fear of marijuana’s potentially adverse side effects. That often means taking it slow and low, as far as potency is concerned. A considerable amount of the recent activity in lower-dose products has coincided with the increasing tide of marijuana legalization over the past several years in the U.S., which now counts 31 states having legalized cannabis for medical purposes and nine states and the District of Columbia for recreational adult-use. On November 6, four more states — North Dakota, Michigan, Missouri and Utah — will include the question of legal weed on election ballot initiatives. A prime mover for the industry has also been Canada’s historic legalization of adult-use cannabis countrywide on October 17. Being the first G7 nation to fully legalize pot, now for the first time in the country’s history there is mass access to legal marijuana. And retailers know that many of those consumers will likely have had very little experience with weed and far less of an adventurous mindset than frequent users do. Those users are very likely to prefer dipping a toe into the cannabis waters rather than doing a rooftop cannonball into the deep end. Because a decent portion of today’s cannabis flower tests at about 18-22 percent THC content, caution is vital at those levels for anyone who isn’t a seasoned pot user. The large majority of marijuana available in North America today has been clocked between approximately 15-18 percent THC, and is typically suitable for moderate to experienced users — but still provides a considerable high-octane buzz. Now, marijuana products are showing up in the 5-10 percent THC range, many of them also rich in the very popular non-psychoactive compound cannabidiol (CBD), which the New York Times notes has taken the country by storm. That might be why companies like Peak Leaf Cannabis in British Columbia are marketing products that contain as little as 10 percent THC — and 14 percent CBD — right alongside their 22 percent THC varieties. “I’m interested in buying marijuana like that with less psychoactive amounts because I know I can handle it. It’s the difference for me between having a glass of wine and having three shots of whiskey,” says Thierry. Peak Leaf aren’t alone in their approach to provide an array of potencies. This year also saw a few big alcohol retailers move into the cannabis space, surely with the intention of creating marijuana-infused beverages for new mainstream customers curious about marijuana. One of the more notable partnerships was the $4 billion investment made by Corona beer maker Constellation Brands in cannabis producer Canopy Growth. The companies will likely experiment with low-dose cannabis infusions that are enjoyable to consumers who are more used to an alcoholic buzz. But those products won’t hit the market until Canada makes infused-cannabis products legal, which is slated for some time in 2019. This year also saw Lagunitas Beer — owned by alcohol giant Heineken International — announce a new low-dose cannabis beverage in the form of an IPA-inspired, sparkling drink called Hi-Fi Hops. Besides featuring “zero alcohol, zero calories and zero carbs,” the drink comes in the very manageable THC quantities of 5 milligrams and 10 milligrams. In terms of potency, those ranges are on the mild end of the drinkable cannabis spectrum, alongside a sea of drinkable and eatable cannabis products available in the U.S. ranging from 20-90 milligrams. The future of cannabis products will no doubt expand massively over the next few years into sports drinks, appetite stimulants, pet care products, sleep aids, and beyond. Looking to provide a broad range of products means those companies will need to continue to also provide a wide range of potencies for the ever-expanding mainstream audience.